Home > Special Articles > Mumbai To See Spurt In Office Rental Value Growth..! 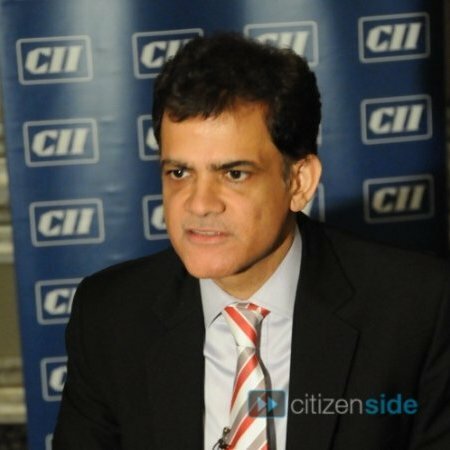 Mumbai To See Spurt In Office Rental Value Growth..! As per JLL’s recent Global Real Estate Outlook, Mumbai’s office space occupiers will have to face upward revisions in rents in the coming years. Compared to Q2 2015 when Mumbai’s rental values had bottomed out, the city will now start to see acceleration in its rental value growth from Q2 2016. The research tracks rents (in local currency) for prime Grade-A office spaces in several cities’ CBDs (or their equivalent) across the globe. It then puts these cities on a ‘rental clock’ representing the cyclical nature of office rents (see below). In Mumbai, Bandra Kurla Complex is the de-facto CBD. The original CBD of Nariman Point long lost out to newer micro-markets due to the evolving needs of occupiers, which it has not been able to provide. In terms of future upward pressure on office rentals, Mumbai is in the company of cities like Sydney, Brussels, Paris, Milan, Amsterdam, Madrid, Chicago and Boston. 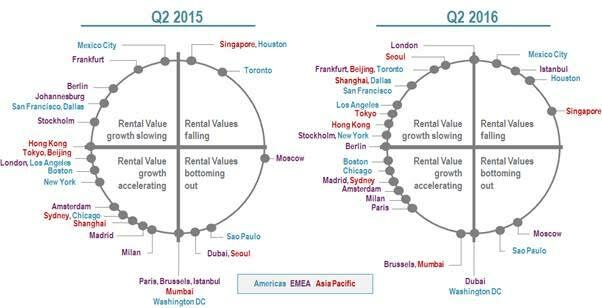 In 2Q15, Mumbai’s place on the rental clock was shared by Paris, Brussels, Istanbul and Washington DC. Out of these five, Paris saw a drastic acceleration in rental value growth while both Brussels and Mumbai marched ahead at a slower pace. Washington DC, however, still remains at the same place as last year. Interestingly, Istanbul is now seeing rental values of its prime office spaces falling. Mumbai, being the financial capital of India, has traditionally seen a lot of office space take-up by BFSI players and IT/ ITeS (mostly back-office operations of BFSI firms) in different micro-markets. Moreover, showing faith in India’s economic growth, many occupiers have been in expansionary mode. In a report last year, JLL had forecast that average city-level rents will continue to rise and that the city and suburbs will move from being tenant-oriented to being landlord-oriented after 4-5 quarters. A tenant-driven market indicates oversupply of office space, falling rents, weak demand and big incentives available to tenants, whereas a landlord-orientated market indicates limited supply of office space, rising rents, strong demand and no incentives for tenants. As JLL had also pointed out, occupiers will take up spaces in less ideal locations as good buildings at ideal locations will fill up quickly on the back of continued demand. Grade-B buildings in good areas will also see renewed interest from occupiers. If the state government improves connectivity and takes up more reforms, additional land parcels in the peripheral areas would open up for residential development and existing office districts could then see further expansion.